Keurig 1.0 Vs 2.0 — What’s the Difference? For at-home coffee lovers, the Keurig brand comes with its own special appreciation and frustrations. But no one can argue its popularity. After all, at least 23 million countertops in America boast a Keurig machine. The goal of these machines? Stronger, hotter, bigger, and smarter ways to meet your coffee needs. Have they met this goal? Let's see. Keurig 2.0 brewers do have a strong brew option and customizable temperature controls, unlike the classic brewers. But read on to see how else these two lines of brewers compare. What Size Cup Can I Brew? The original line of Keurig brewers gives you the choice to brew 6, 8, or 10oz of coffee at a time, all from the same sized pod. Sounds nice, right? One pod, three different drink sizes? Customizing the amount of liquid you can get from one pod appeals to a lot of people. Just keep in mind that the amount of coffee in each pod never changes. The difference is that your classic Keurig just brews the pod with more water depending on which option you choose. And as coffee lovers know, water ratios matter when it comes to how your coffee tastes. So if you want a bold coffee flavor, we recommend the smallest cup selection every time. Keurig's 2.0 line brewers can make either the basic cup sizes (6, 8, 10, and an added 12) or carafe sizes (up to 30oz) when you choose either K-Cup or K-Carafe pods. The difference here is that you actually have two different sized pods for your coffee needs. Keurig solved a big problem with the introduction of K-Carafe pods. Instead of having to brew cup after cup for a travel mug or for parties, now you can invest in some carafe pods to meet your larger capacity coffee needs. Which Pods Can I Use? Original Keurig brewers can use just about any pod, Keurig brand or not. Keurig's patent on K-cups expired in 2013 so that's when other companies jumped into the single-serve market with their own pods. And these machines could brew them all. The new brewers, on the other hand, are made to only brew Keurig brand pods. When introducing the new line, Keurig also announced its new RFID technology. RFID, or radio frequency identification tags, are "intelligent bar codes that can talk to a networked system." Basically, this means that a special reader on the machine identifies the barcode on the pod to use just the right settings for that pod. Sounds fancy, right? This technology certainly is fancy for a coffee machine. But one issue Keurig didn't anticipate was the backlash from people who bought new machines and tried to use their old third-party pods. Because those pods don't have the barcode, the system can't read them and won't brew them. So if you have a Keurig 2.0, make sure you look for pods marked with the Keurig brand. It may be from another approved brand like Starbucks or Donut Shop, but the majority of compatible pods will have the Keurig label on both the box and the pod itself. A few third-party options do exist though, like Shop Blends coffee pods. Just be sure that if you're not buying Keurig brand, whatever brand you buy is 2.0 compatible. One feature that made the classic brewers stand out was their ability to brew with a refillable pod. You could buy whatever coffee you wanted, and the Keurig could brew it. But with the launch of the 2.0's barcode technology, you could no longer use a refillable pod. And people weren't happy about it. But don't worry. 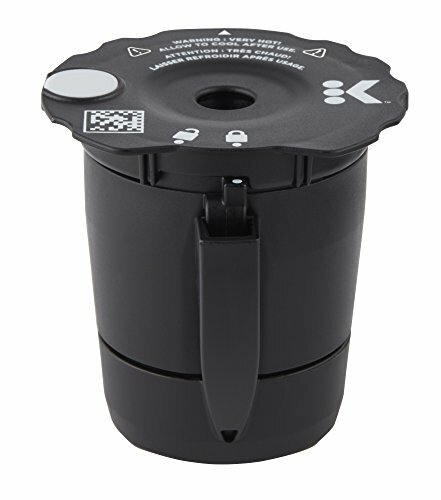 Keurig has now remedied this issue with its My K-Cup reusable filter and pod, making their users happier and hopefully the environment too! If you recently upgraded to a 2.0 brewer and already had a reusable pod, you'll need to get the My K-Cup. But after that initial purchase, you should be able to brew your choice of coffee with the 2.0 line. Which Brewers Come Out on Top? It all comes down to personalization - sort of. With Keurig's 2.0 line of brewers, you have more control over the displays, temperature, and amount of coffee. And now, you can even choose your own coffee to brew, although that makes things a little more time-consuming. And while you get a lot more features with the 2.0 brewers, you have to pay more attention to the pods to make sure they're 2.0 compatible. This is especially important for Keurig users who may have fallen in love with a particular brand of coffee that worked with the classic Keurig line. If you already have a Keurig machine, the changes may not be worth the upgrade. But if you're looking for the sleekest designs and more customization, maybe a 2.0 should move to the top of your coffee purchase list.